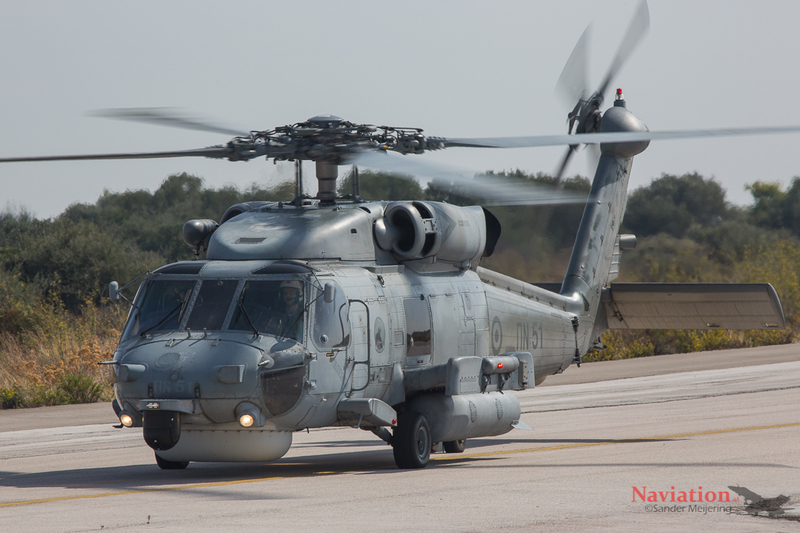 The Hellenic Navy has a small air arm with a fleet of helicopters in use for different tasks. The whole fleet is based at Marathon-Kotroni, a small airfield close to Athens. Naviation got the possibility to visit Marathon-Kotroni airbase and see the helicopters of the Navy. Like many other countries, the Hellenic Navy used aircraft in an early stage of the history of flight. In 1912, the navy used already one to seaplane converted Farman bi-plane. It took until 1915 before an official Naval Air Service was established. In 1930, the Naval Air Service merged with the Army Air Service and both became the Air Force. It took until 1976 to re-establish the Naval Air Arm by creating a Naval Helicopter Command after the purchase of four Alouette III helicopters. To house the helicopters the navy got some space on Hellinikon Athens Airport. After a few years a new airport was build in Amphiali. Soon Amphiali became too small because the Navy purchased more helicopters. Therefore a new, larger, airbase was constructed on Kotroni Hill northeast of Athens. The field was called Marathon-Kotroni and is still the main Hellenic Navy airbase. Amphiali is also still in use, but only as a secondary airbase with no based aircraft. Kotroni Air base houses two flying squadrons both equipped with helicopters. The first squadron (1 MEN) flies with the AB-212 and the second squadron (2 MEN) flies with the SH-70. 1 MEN used to fly also with the Alouette III helicopter but this type left service earlier this year. Today the base houses two types of helicopters including all necessary logistic and technical support. For example, the maintenance of the helicopters takes place on base. Even the training and education of personnel takes place at the Hellenic Navy Aviation School, which can be found on base as well. Besides the Navy there are also some Coast Guard Dauphins based but the Coast Guard is an independent organization. The AB212ASW is one of the two types of helicopters in use by the Hellenic Navy. The first and oldest helicopter in use is the AB212. 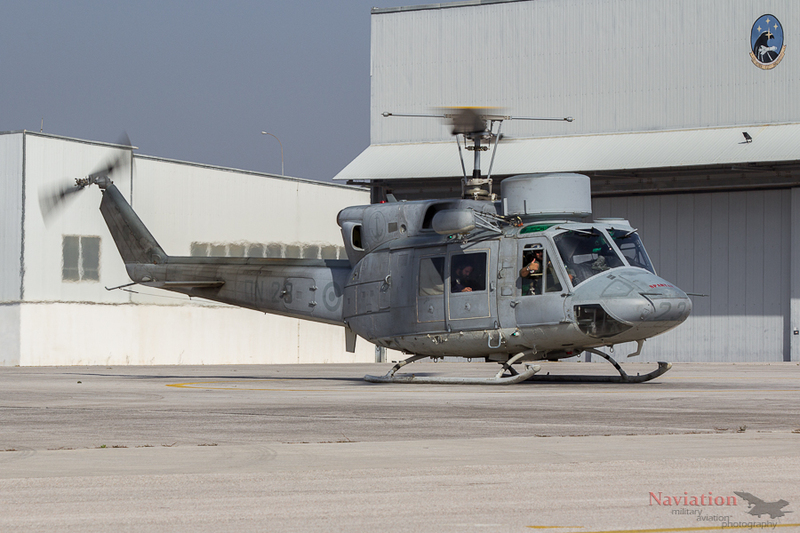 The Hellenic Navy bought eleven AB212ASW helicopters, from which the first arrived in 1979. In 1981, two further AB212EW were ordered as a platform for Electronic Warfare. The two EW versions left service a few years ago but eight AB212ASW's are still in use today. ASW stand for Anti Submarine Warfare, which isthe main role of the helicopter. The main use of this helicopter is as a frigate helicopter on board of the Standard class frigates. After some adjustments to the frigate hanger, two AB212 can fit inside. The AB212 ASW has a wide array of sensors to detect submarines and surface ships. The helicopter has a search radar and dipping sonar and can carry torpedoes. Furthermore, there is a winch on the helicopter, which is useful for search and rescue missions. The Seahawk is the newest helicopters of the Hellenic Navy, which first arrived in 1994.The Navy, received eight SH-70B6 Seahawks for use on the MEKO 200HN class frigates. The 'B-6' version is a special Greek version also known as the 'Aegean Hawk'. The SH-70B6 is a mix of the SH-60B and SH-60F models. In 2007, three additional Seahawks were acquired but these are standard SH-70B versions. 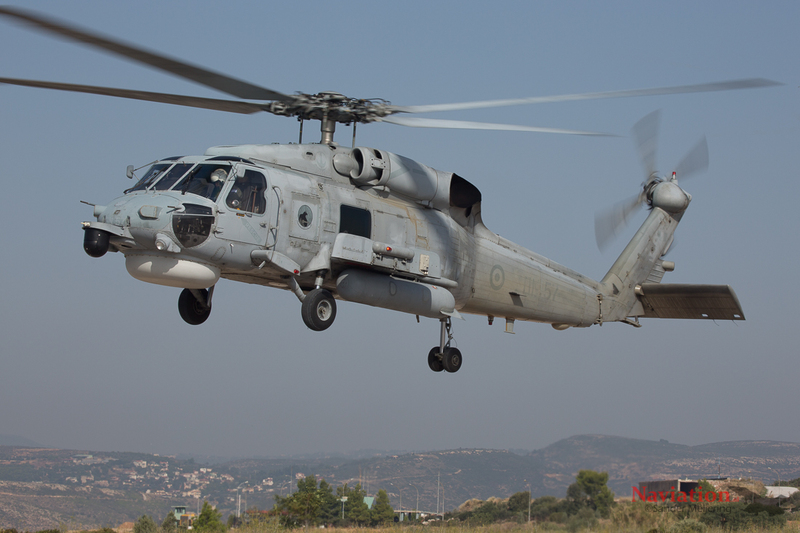 The Seahawk is a powerful naval version of the Blackhawk helicopter. The design of the Seahawk includes a search radar and FLIR in the nose. The helicopter is further equipped with a dipping sonar and ESM system. Furthermore, the SH-70 has pylons for Penguin and Hellfire missiles and different kind of torpedoes. The other helicopter in use is the SH-70B. The Seahawk and AB212 have actually the same role in the Hellenic Navy. The Seahawks are used as a frigate helicopter on the German build MEKO 200 class frigates while the AB212's are the frigate helicopter of the Dutch build Standard class. The Seahawk can, due to its size, not operate from the Standard class frigates. Some recent adjustments to the frigates made it possible to use Seahawks on Standard Class frigates. That means that the helicopters are both able to perform the same missions. Today the SH-70's are in use as a Search and Rescue (SAR) role. Normally the Air Force will provide all SAR aircraft but they lack some capacity. Therefore, the Navy will provide the SAR helicopters for the northeastern part of Greece while the Air Force will do the rest of the country. That means that a there is permanently one Seahawk on standby to scramble for a mission if necessary. The Hellenic Navy will operate frigate helicopters in the future. The SH-70 is a new helicopter, which can hold at least another 20 years. The AB212's are slowly becoming old but are still very useful. It is unknown how long these will stay in service but with some good maintenance, they can hold for a while. Probably the Navy will search for another helicopter to replace its AB212 and fill the gap after the retirement of the Allouette III. We would like to thank the Hellenic Navy for their hospitality and we would especially thank the people of Marathon-Kotroni for their hospitality.